It's a beautiful day in this neighborhood, a beautiful day in New Jerseyhood, Would you be mine? Could you be mine? Yes, folks. I am in New Jersey again. All in the name of work. And it is a lovely, sunny and breezy day - had it not been for my Dunkin Donuts encounter this morning, I'd say all is dandy. Two things NOT to get at Dunkin Donuts: Iced Latte Lite and the Egg White Flatbread with Turkey Sausage. Both taste artificial. Ya know, fake. Just not real. Am I making my point? They actually make me want to go on the master cleanse again. Sometimes, food just gets in the way. Ah, to only have water, lemons, syrup and cayenne pepper. Mmm. I know, I'm making your mouths water. I'll stop. 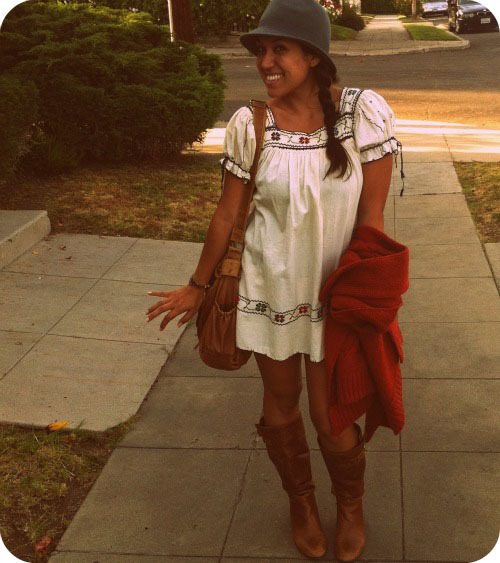 It was on cinco de mayo and to celebrate both my mexiCAN heritage and our hippie endeavors, I totally dressed the part. So, after a few margaritas at um, Islands (NOT a Mexican joint but a decent second option when all the other places have an hour wait) and some fish tacos, we sat down and watched a little of this guy. We were the only people below the age of 50 in that theatre. 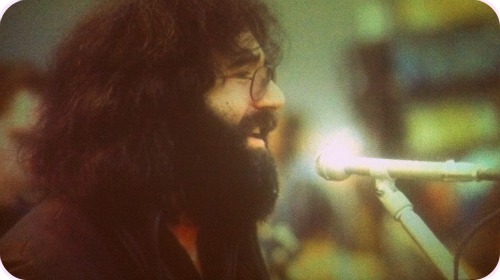 Men with beards and Grateful Dead shirts, women with long, graying hair and long, flowing dresses to match. It was quite the scene. BUT after we sang a few songs and watched a few interviews, we left. Truthfully, it was really a movie of it's time. Too much animation, too little acid, and a redundancy of clips from if not the same show, very, very similar shows causes some serious boredom. So yeah, we still felt accomplished and high-fived each other for trying something new. And like I said, any time for classic rock is a good time. East or west. It's all good - in any hood. Cute outfit! Enjoy your little trip, Vic.